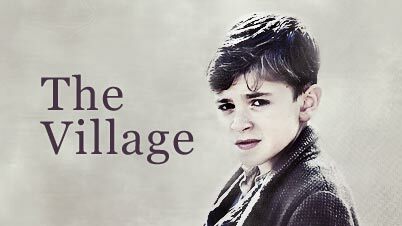 LOST Video Island - "The Village"
A Bert Middleton character study highlighting his relationships with his teachers and the issues surrounding his family. Lovely vid, Emma! The coloring and editing were fantastic. The song was perfect for this vid. I loved how you opened the vid with him introducing himself and then transitioning into him as a little boy. You did a great job of capturing all the emotions from his hardships to moments of happiness. Amazing vid! That was *gorgeous* Emma! Such a perfect song. Definitely want to put this show in my To Watch queue. It looks amazing! Omg, this made me tear up so bad!!! I have never heard of this programme?? I wonder why not...But this was such a wonderful vid. It had so many emotions in it..wow! And it was edited flawlessly. Gorgeous job, Emma! I really liked the opening. Such a touching vid, great crisp coloring. I thought chose a great song for this (even though I've never seen or heard of it ) Great vid. First of all: Mumford & Sons!!! Squee!!!! I love these guys beyond words!! I really enjoyed your vid and it made me want to see this show/movie/miniseries. I really miss John Simm, too. I adored him in Life On Mars.